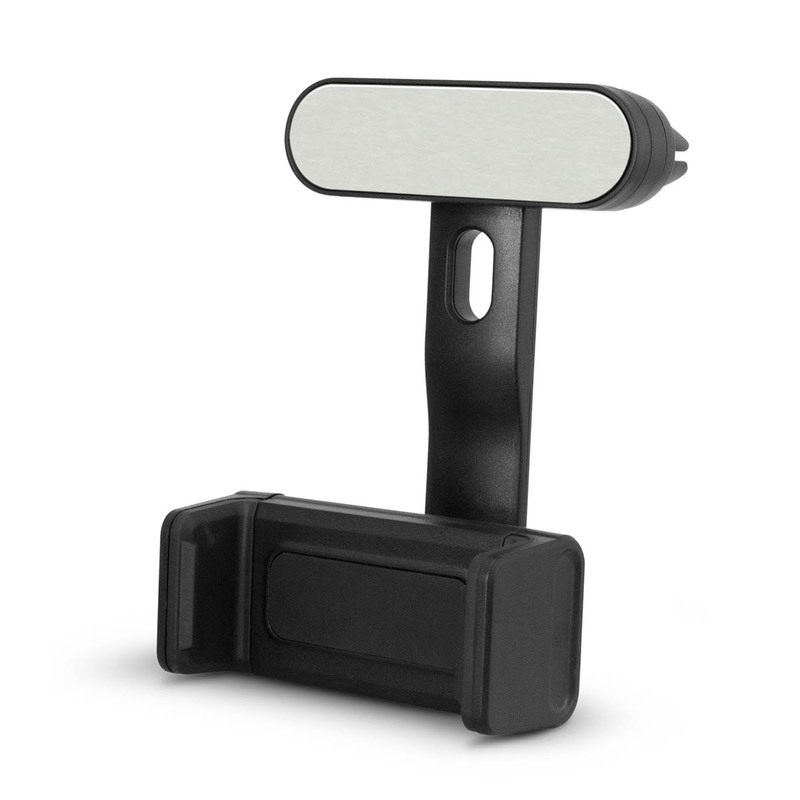 A spring loaded car phone holder with prominent branding area for your promo benefit. These car phone holders offer a branding space that's prominent and easily noticed. 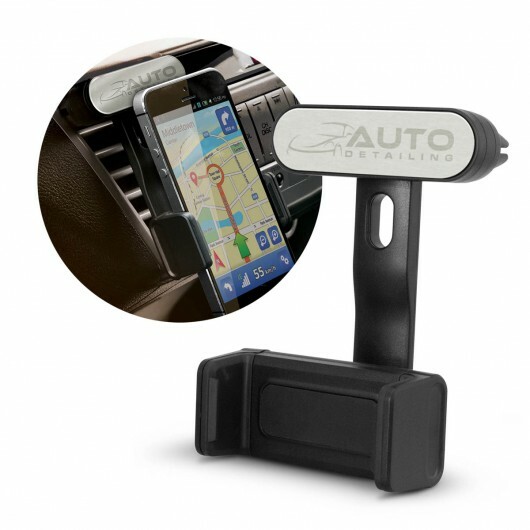 It has a soft rubber clip which pushes onto the car air vents and will securely hold a phone in place so it can be seen by the driver and used as a GPS. 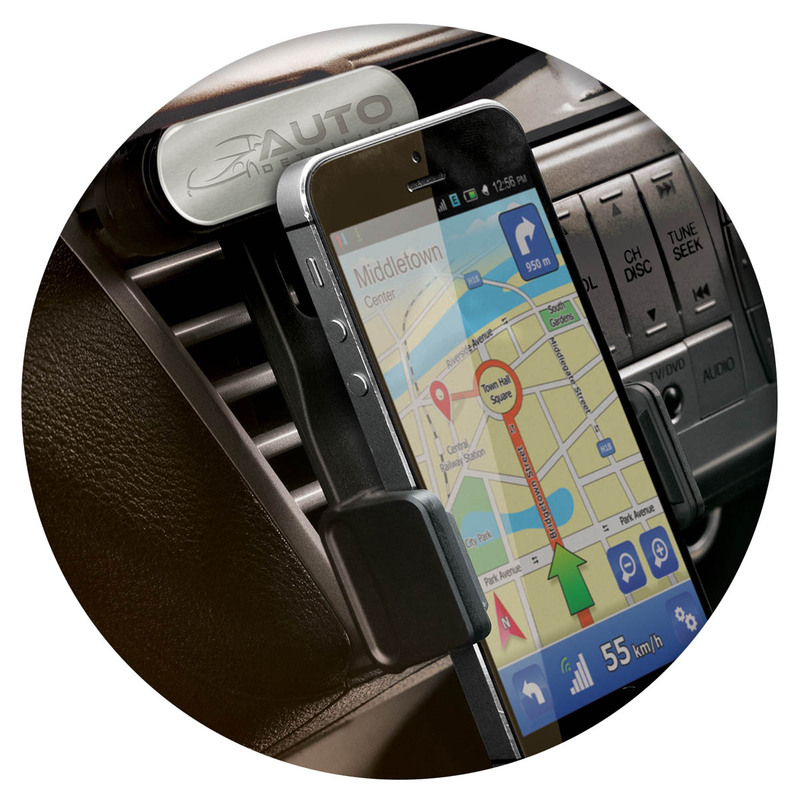 We also have a wireless charging version of this product available.